The Old Spice Sweet Pea is a beautiful old climbing variety that have heat resistant and highly scented flowers that smell even better than they look! The flowers are derived from the old Eckford series and are somewhat smaller than modern strains. 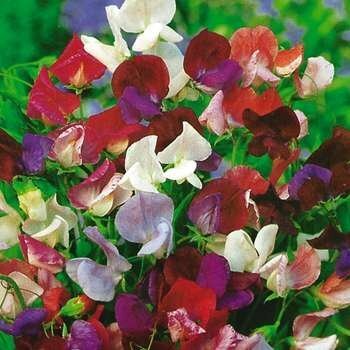 The Old Spice is a good variety where summer heat will not usually allow sweet peas to grow well. Sweet Peas are an old-fashioned flower that both experts and beginners chose for their gardens. 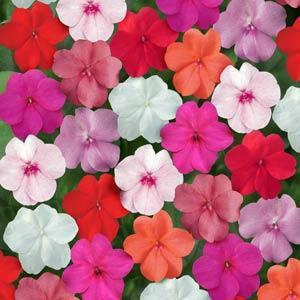 They are a good starter flower when learning to grow flowers from seed because their seeds are large and usually they germinate easily. Before Planting: Sweet Peas do well in cooler weather, and they can be planted outdoors as soon as the soil can be worked in the spring. The seed coating must be softened prior to planting, so soak the seeds overnight in water or use your fingernail to scratch the outer coating. 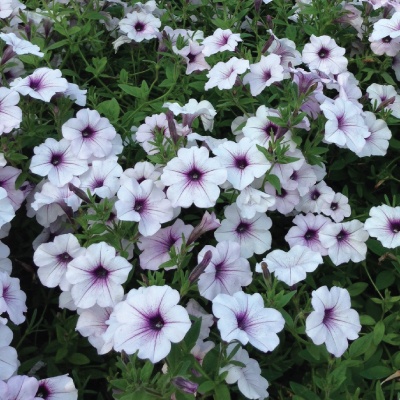 Planting: Dig a trellis before planting the seeds inside the trench, and plant them 10 inches apart and 1 inch deep. Provide a trellis of at least 6 feet for them to climb upon. Some Sweet Peas are true bush varieties, but most others are climbers. Watering: Keep the soil moist. Fertilizer: If soil isn’t enriched by manure or compost, fertilize with a half-strength liquid fertilizer twice during the Sweet Pea’s growing season. Days to Maturity: Sweet Peas will begin to bloom by early to mid summer. Harvesting: Sweet Peas are ready to cut for a bouquet when the lowest flowers on the stem are just beginning to blossom. Tips: Vines may die in the summer heat. If a vine dies, remove it and plant something else.